Durban – The Canoeing South Africa sprint committee has turned to innovation and long-term planning as they embark on a jam-packed calendar of events in 2019 with paddlers and federations looking beyond this year towards the 2020 Olympic Games in Japan. From a South African perspective there have been a number of programmes and events put in place which will give our sprinters the best possible chance of qualifying for the world showpiece next year, with qualifying starting at the ICF Canoe Sprint World Championships in Szeged in Hungary in August. 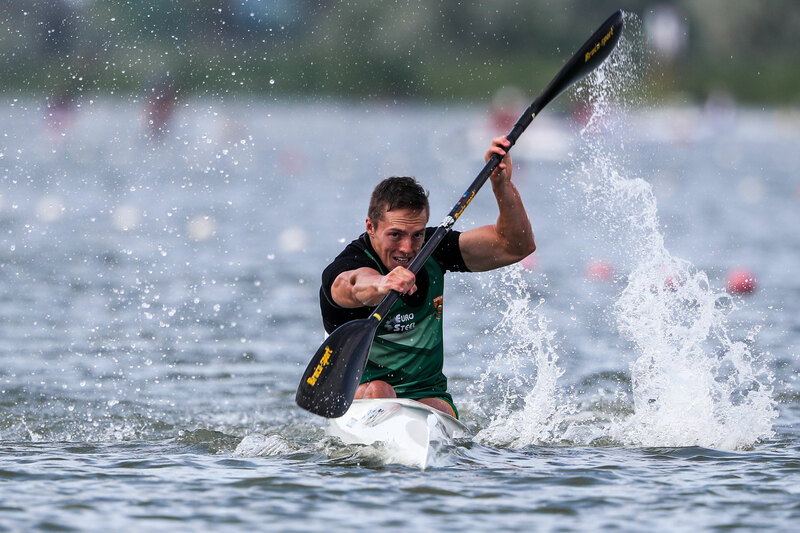 March saw provincial championships take centre stage and National Canoe Sprint Committee Chairman Craig Mustard was happy with the results achieved while this year has seen the introduction of the new SA Sprint Cup, which includes two regatta's over two weekends over the next two weeks. “Firstly, the SA Cup is going to expose paddlers to not just more racing, but more competitive racing,” Mustard said. “Traditionally there were provincial, national, SA Schools championships along with a world championships trial and that was all the racing paddlers had. “With the 25th edition of the SA Schools Championships taking place next week, we feel that having an SA Cup attached to this event might encourage a few of the youngsters to take up sprint paddling." The SA Cup is going to provide a platform for the country’s best to see where they currently stand from a national perspective ahead of those all-important Olympic qualifiers at the World Championships later in the year. The two SA Cup events, which are a week apart at the same venue in East London, will serve as the national trials for the first two senior World Cup events in Poland and Germany at the end of May, a Junior and U23 team for the World Championships in Romania as well as the side that will do battle at the World Championships in August. “It is really exciting to have so much international racing on the calendar and it is great to see how our paddlers improve on the international stage. “Over the past few years we have seen some of the younger talent coming through and have seen our senior paddlers raise their levels,” Mustard added. Paddlers looking to come to the fore this year ahead of Olympic qualifying will be 2012 Olympic bronze medallist Bridgitte Hartley who is aiming for her fourth Olympic Games should she qualify for Tokyo. Chrisjan Coetzee is a paddler to look out for in the 200m and 500m events while Louis Hattingh will take on the longer 1000m and 5000m. Other women looking to put their hands up are Esti van Tonder in the shorter races, but she will be pushed hard by Donna Hutton, who finished second in the 500m U23 B Final at the World Championships last year. The national sprint championships have been moved to later in the year after the World Championships and Mustard believes that this is a good decision as it lengthens the sprint season. "Moving the championships means that there is racing throughout the year and not just over three or four months. "It's not a new way of thinking and has been done before with the national championships. "It also allows our top paddlers time to compete internationally and come back to race in South Africa after the world championships," Mustard mentioned. The SA Schools Championships and the 1st SA Cup take place from Thursday 21 – Saturday 23 March at the Buffalo River Rowing Club. Canoeing South Africa Logo (GIF).